"I am surprised by the statements of many international organizations saying how come we misinformed the public. Did you want Babchenko killed?… From now on, the Ukrainian special services and law enforcement agencies will not be guided by public opinion about them. If there was such an opportunity on all other high-profile cases which occur, we would do the same in each case," Avakov told reporters. 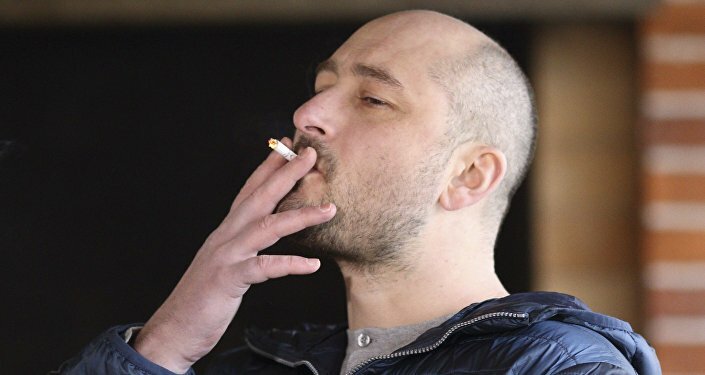 Reports of Babchenko being shot to death next to his apartment emerged late on Tuesday. Many international organizations immediately offered their condolences and urged the Ukrainian authorities to carry out a thorough investigation. Earlier on Wednesday, the journalist made a surprise appearance at a press conference organized by the Ukrainian Security Service to announce that his assassination was staged in order to foil a real attempt on his life. On Wednesday, Russian Foreign Ministry spokeswoman Maria Zakharova called the fact that Babchenko was alive "the best news," adding that the SBU operation was used for the purposes of propaganda. Reporters Without Borders Secretary-General Christophe Deloire, in turn, condemned the operation, arguing that it was used as means of information warfare.